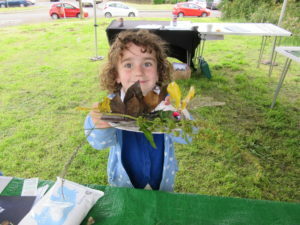 Despite the windy weather we had a positive turnout for our Nature Explorer evening in Lingdale Meadow. 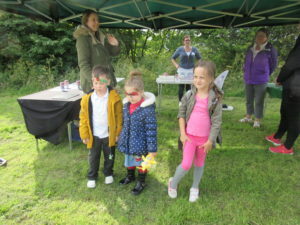 We were supported by Lingdale Parish Council and Big Local to produce this community event. 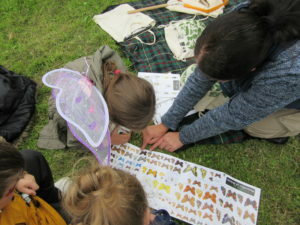 Children and their families were given opportunities to talk to wildlife experts, take part in craft activities, hunt for minibeasts or learn about the different plants that make the meadow so special. 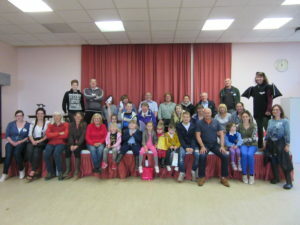 In the Village Hall a wonderful buffet was provided and children ‘s wildlife fancy dress costumes were judged. All those who attended were very positive about the experience. Our thanks to our partners, all who came and especially to our volunteers who helped make the event a success. 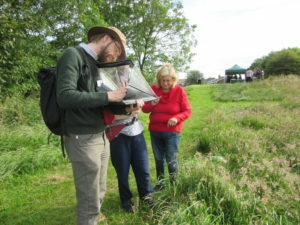 Martin Allen, a local botanist, who shared his botanical knowledge at the event also took his time during the evening to survey the plants in the meadow. 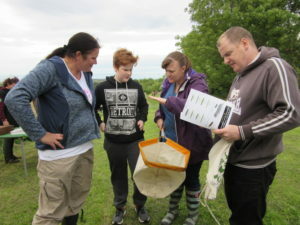 The results indicated that the flora was responding to current management practices and become much more diverse. Following discussions with the local community groups we put forward the meadow to be considered for Local Wildlife Site designation.